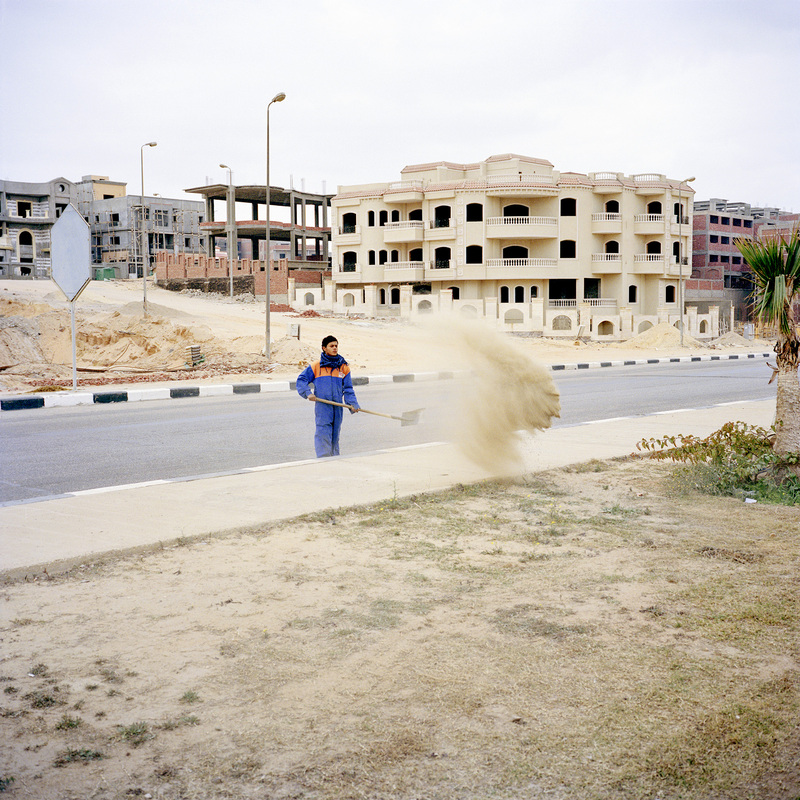 Cairo Divided is a series of photographs documenting the development of high-end housing communities just outside of Cairo. I spoke with Jason Larkin about this work, why he made it and what he feels the importance is of telling this story. 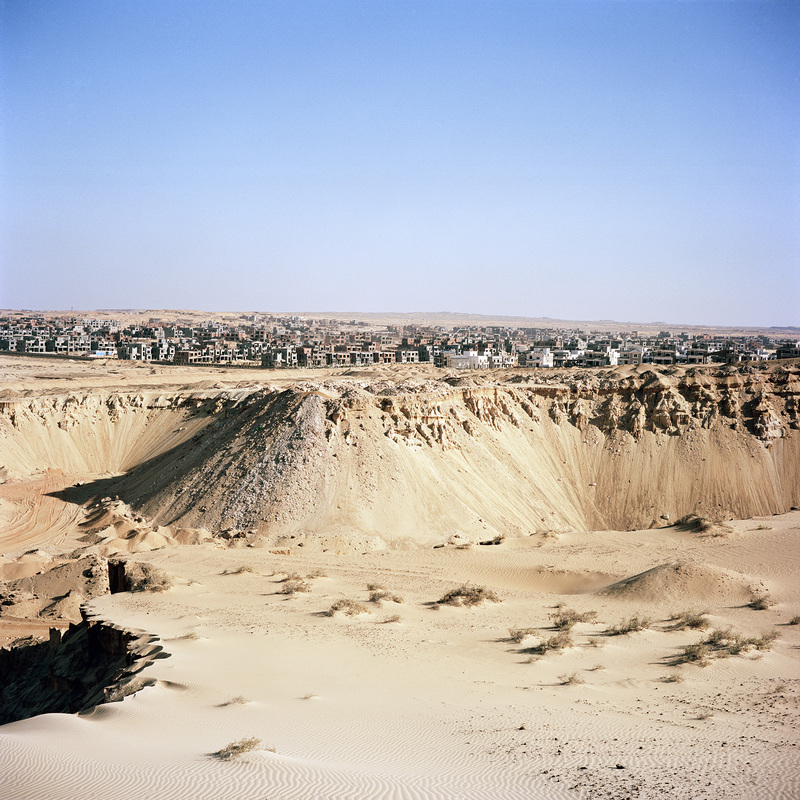 Abigail Smithson: Tell me about your personal relationship with Cairo. Jason Larkin: I moved there having never visited it before, originally for just one year and ended up staying three. I started my photography career there. I love it and loath it. It’s fascinating and maddening. I’m always an outsider, and ultimately I couldn’t sustain living there with that constant feeling. 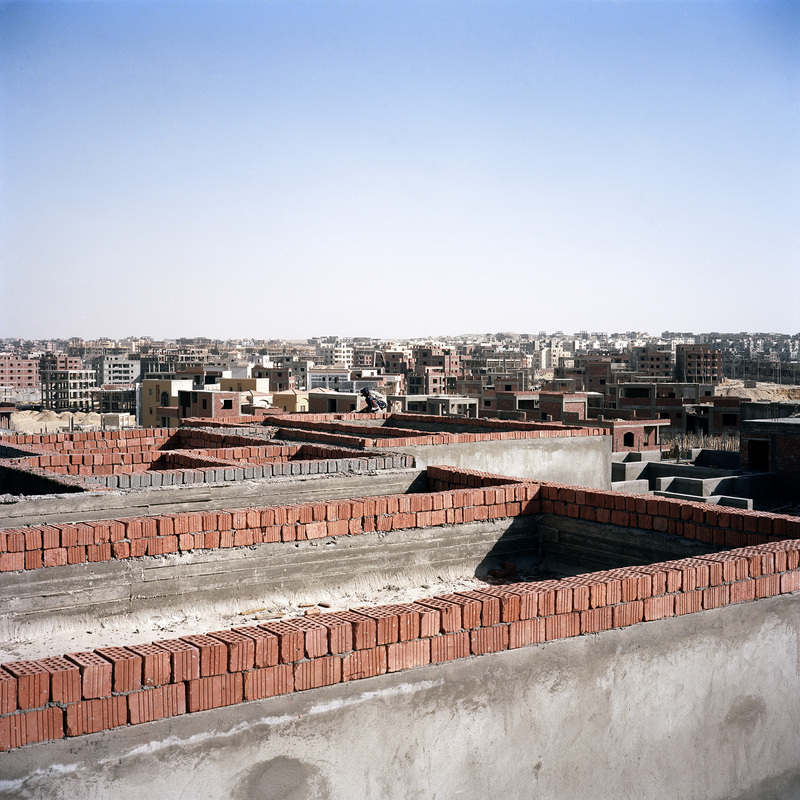 AS: Far removed from the pyramids and ancient romantic images we often have of Cairo in our heads, the cookie cutter homes you have documented give us another view of the area. Whatever we are typically captivated by in pictures of Cairo, your photographs distract from it as you mostly focus on the modern structures and communities that are developing. Do you feel like Cairo is losing some of it’s original identity to these buildings? JL: Identity always shifts in a place. Many people, especially from outside, are keen for certain aspects to never change. We create romance and nostalgia for how things are in our heads from the constant travel stories, tourism related material and narrow minded viewpoint from a lot of media. 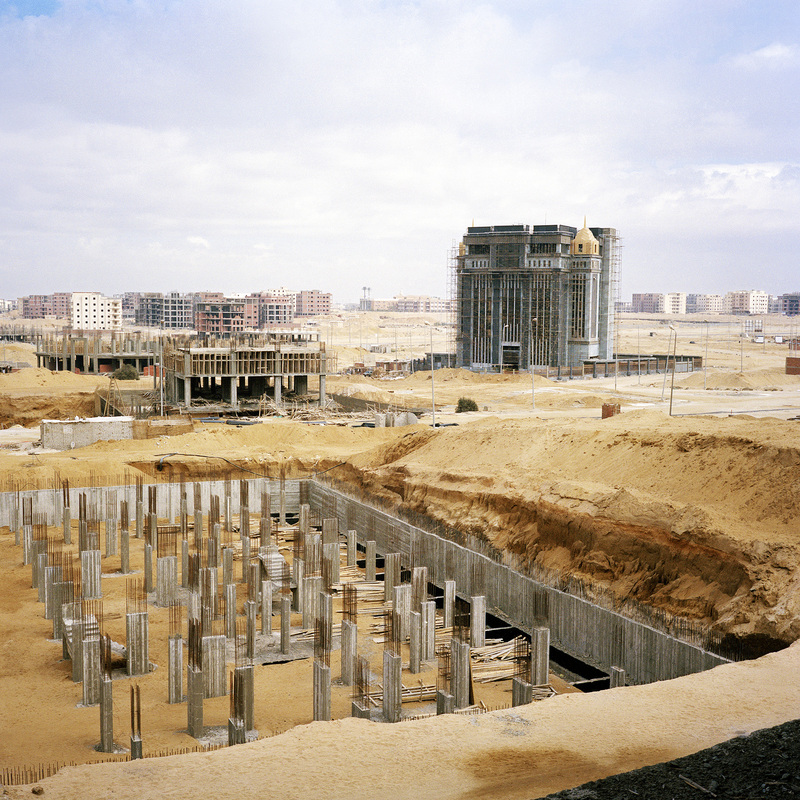 I don’t like the look of what is being built, and yes I do think that building cities out in deserts that have very little thought into the planning will cause Cairo to lose some of it’s identity, but mainly I believe that it will effect society in ways that are still unknown. Identity is their’s to change, but it shouldn’t be exclusive. AS: What is the local reaction to this transformation of the landscape? JL: When I started photographing it, there was little public reaction. I think most who had seen it either didn’t really care for it or were excited by the new lifestyles the PR companies are creating in people minds. Space is a luxury very few have in Cairo, as is fresh air, so for some just that is enough to be excited about. Now, the debate has moved on much further and people are alarmed at the implications for this type of space, and realize its just another aspect of elitist life, distancing itself from the masses. AS: As you say in your writing, the center of Cairo is now the life on the margins, the inside pushed outside. 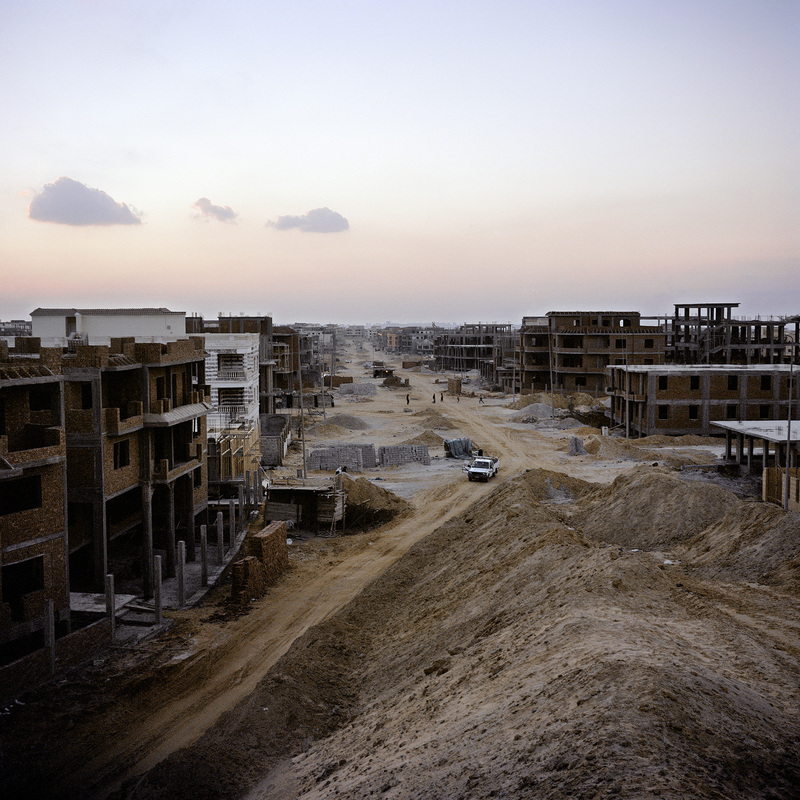 Do you feel like these new developments, with a dystopian look to them, are completely set apart from the reality of Cairo? JL: Yes. But all cities have so many different realities living side by side, so that’s not such a surprise. But out there on the new desert fringes, there will be only one type of people. And they’re making it exclusive so no one else can get in. That is very sad and a big worry. 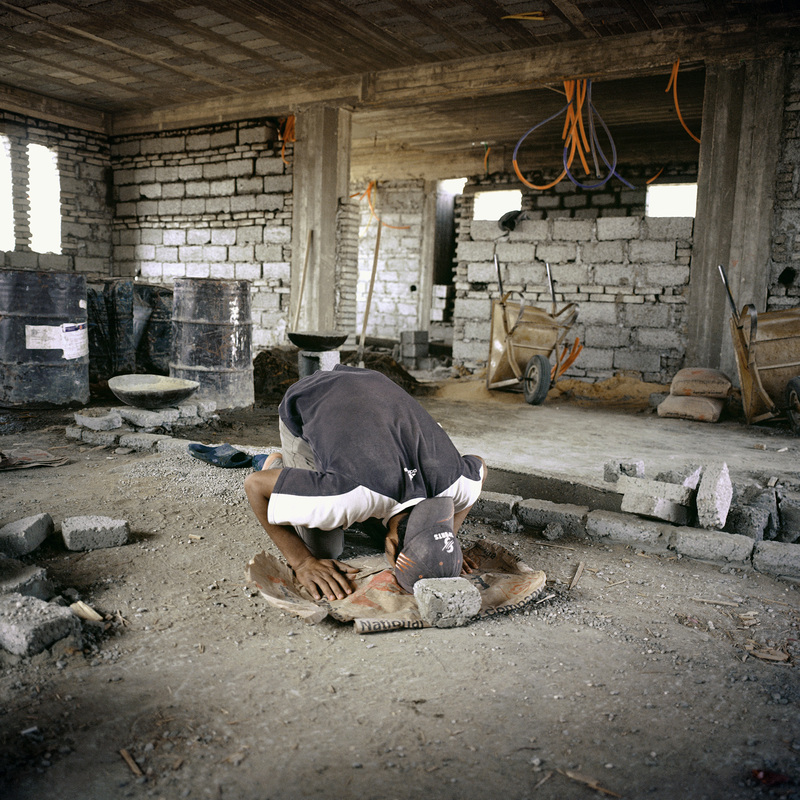 AS: There is a photo of a man praying on the floor of a construction site that looks like it could be just about anywhere. Could you explain a little bit more about this image? JL: This image is mainly to shed light onto the fact that when these laborers start working in these sites, they become their lives. They move there with their whole family and live in the buildings they are working on. They have very little facilities. 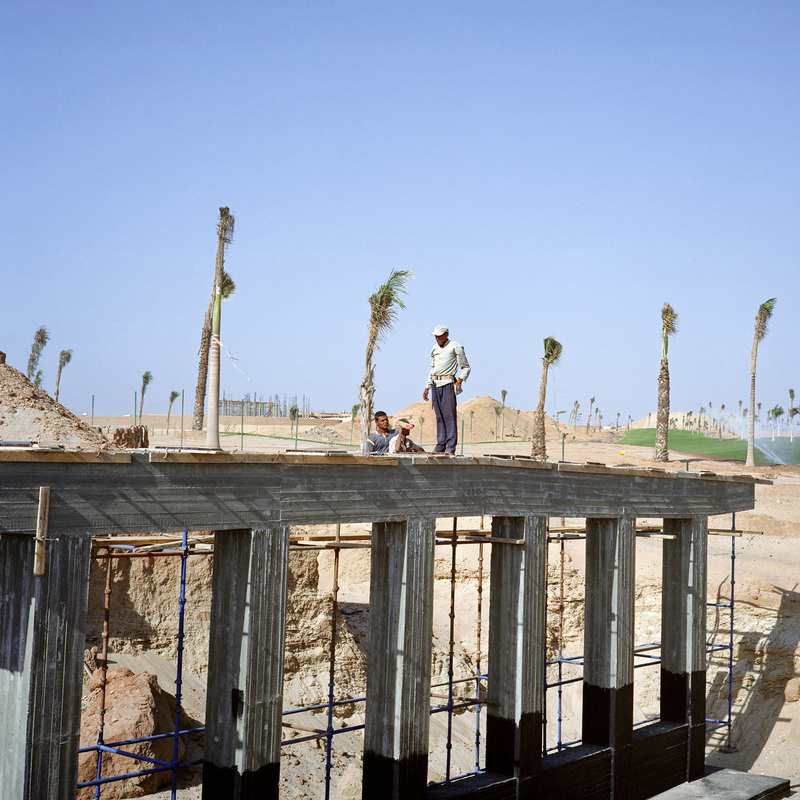 They are all very poor and live in squalor conditions, building the mansions for the richest in Egypt. 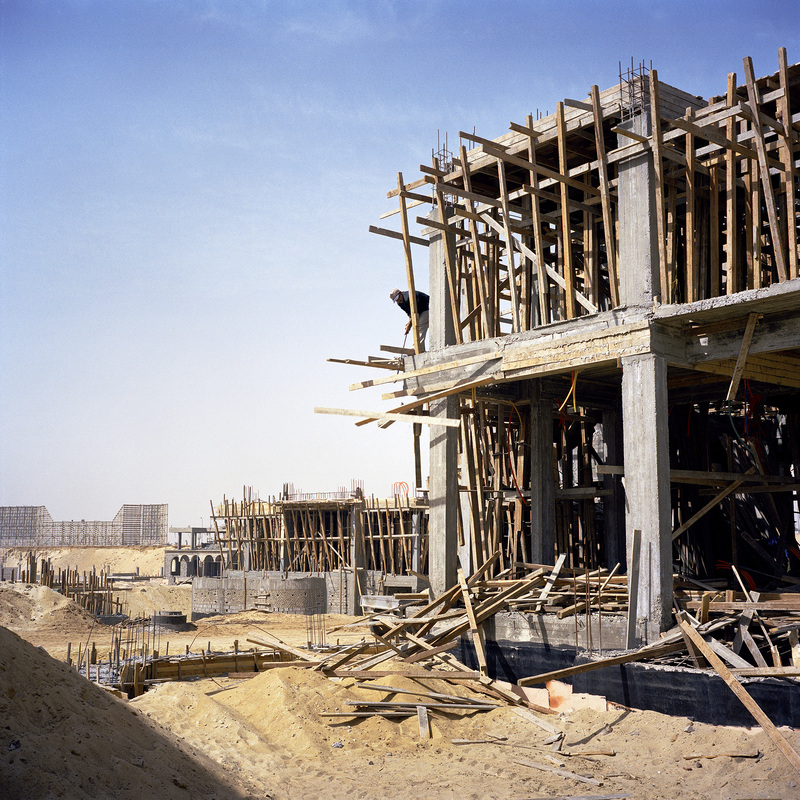 AS: While buildings are in the process of being constructed, it is hard to tell whether things are being built or being taken apart. An odd mid-stage, caught somewhere between progress and failure. 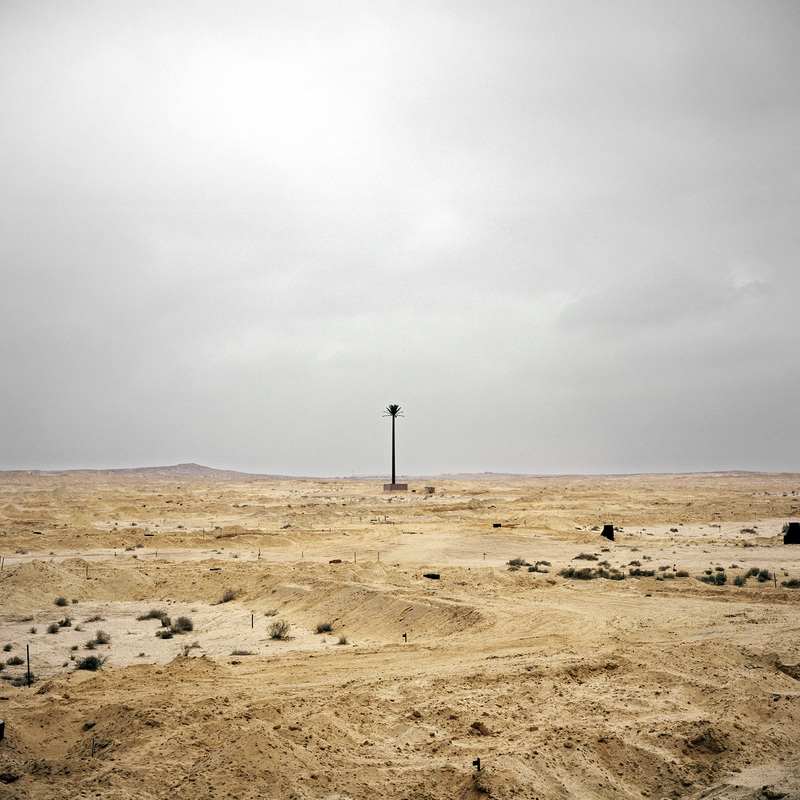 The sites seem desolate and abandoned in many cases. Does it seem like real progress is being made? JL: Yes and no. The speed at which some of the sites have gone up was very fast, but there are also huge pieces of land with houses, villas, buildings only half built and left. It’s a massive bubble, that has to some degree burst and slowed. Photographing these buildings in this state is on purpose, it’s allows a greater sense of understanding that this is happening now, that there is a state in flux happening here and largely across the country. With my work I am only interested in starting a conversation, adding to it, never defining it or telling people what to think or believe. Also, this state (like any) is only temporary and it will change. By capturing the place in this state I am alluding to the fact that things change. AS: Can you imagine these houses being filled with people and made into homes? What will the communities who fill them be like? 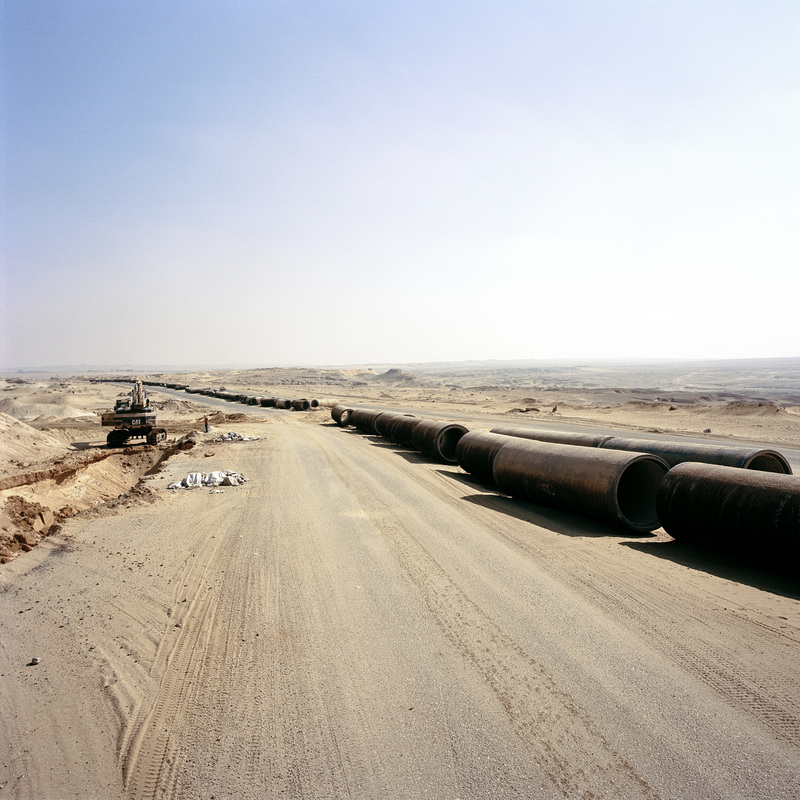 Is this something you would like to continue documenting in Cairo? JL: They will be rich, they will be the elite and the connected of Egypt. I am very doubtful that they will be filled, as some will probably never be finished, especially with what is happening now. I may consider photographing it again. I visit the area every time I am back around Cairo. AS: You mention in your statement that these buildings show no interaction or appreciation for the environment they are being built in. 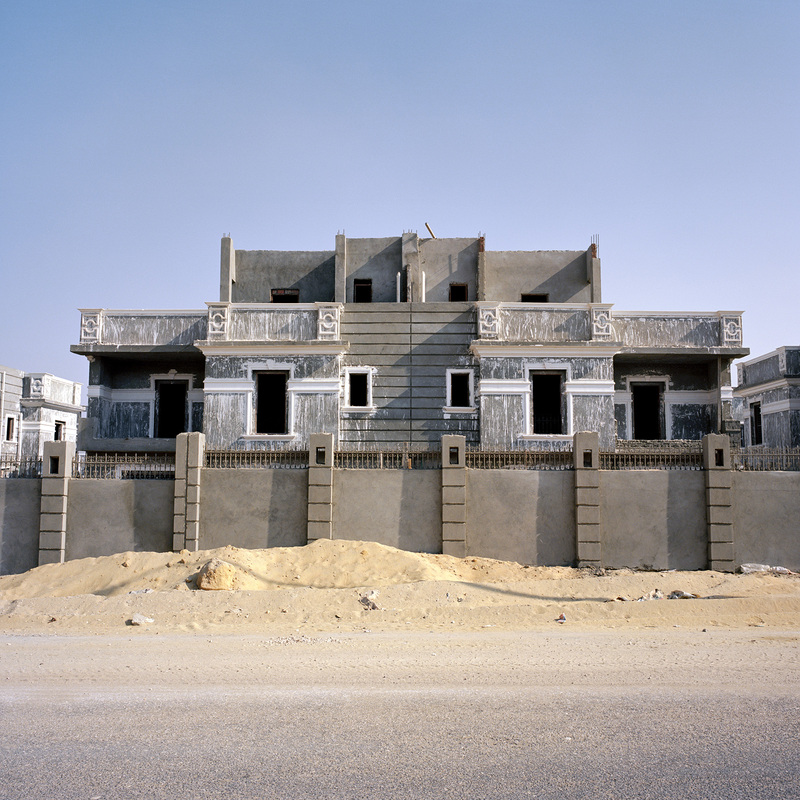 And while your pictures are particular to Cairo, these houses could be built anywhere (including the suburb I grew up in). There is a running commentary about differentiating between cultures and countries or the future inability to do so. Do you think this is a worldwide issue with how modern communities are built? Is everything starting to look the same? JL: I don’t know enough to talk about around the world, but there is certainly a sense of mimicking, exporting styles and ideas from other places, either because of money, or importing expertise etc. Any which way, it is a shame that spaces and new ideas are not unique and engaged with their own surroundings. It’s lazy to me and shouts that the developers are only interested in money. To see more of Jason’s work, please click here. And to follow his journal for upcoming and recent events, click here.